Obsessive Compulsive Disorder OCD treatment at the Rickmansworth Thrive Programme Clinic, Close to Chorleywood, Berkhamsted, St Albans and Amersham. Sufferers may try to fight these thoughts with mental or physical rituals. These compulsions involve repeatedly performing actions such as hand washing, cleaning, checking, counting, hoarding or partaking in endless rumination. Avoidance of feared situations is also common; however, this often results in further worrying and preoccupation with the obsessional thoughts. Just a little message to thank you for everything Cara, its been so good to find such a fantastic therapy and coupled with a fantastic person who doesn’t make you feel judged whilst you are judging yourself! I really do feel great and very happy about the future now. Some sufferers will have the obsessive thoughts but no physical outward compulsions – a form of OCD often called ‘Pure O’. CLICK HERE to view the Intrusive thoughts webpage. Discover how to get back REAL control over your thoughts and behaviours, instead of feeling that they are controlling you. 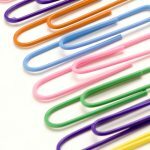 People suffering from OCD have certain beliefs and styles of thinking that maintain and escalate their symptoms, including feeling powerless and out of control. The result of this is then to try to over-control their thinking – which only creates more anxiety and feelings of powerlessness. I can teach you how to feel completely in control of your thoughts and feelings in just a few enlightening sessions. The Thrive Programme is very different to CBT (cognitive behavioural therapy) or certainly any other treatment for OCD that is commonly practised. It is much more than just a series of techniques to help you deal with the problem. Click here to read about how The Thrive Programme is different from other forms of treatment for OCD. 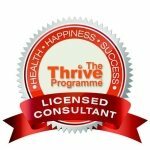 Thrive is an empowering and liberating psychological training programme which aims to give you the insight into the real reason you have these thoughts and/or behaviours. You’ll find that its much simpler than you may have ever believed to take control and rid yourself of them! Click here for more information about The Thrive Programme and why it is an effective obsessive compulsive disorder OCD treatment. Obsessive Compulsive Disorder OCD treatment at the Rickmansworth and Aylesbury Thrive Centre. The clinic serves the following areas: Chorleywood, Berkhamsted, St Albans and Amersham.